Contrary to the presumptions of conventional trade theory greatest part of the world trade consists of trade flows between developed countries and high proportion of trade flows is intra- industry rather than inter-industry as suggested by conventional trade theory under imperfect competition and scale economies has grown rapidly since the Iate 1970s. The aim of this study, therefore, to survey the central themes of recent international trade literature under imperfect competition and scale economies. However, this study aims to survey only some central themes of literature rather than being comprehensive. In the first part of the study, having briefly examined the preliminary studies emphasizing the importance of scale economies in international trade theory, early studies of new trade theories literature are analyzed. The main concern in the second part is the analysis of monopolistic competition trade theories within the context of reasons for trade, composition and volume of trade as well as the welfare impacts of trade In the third chapter, oligopolistic trade theories are discussed. Although the main emphasis of this study on the positive aspects of new trade theories, normative implications of the new trade theories are also highly important since it causes a theoretical debate due to its protectionist policy recommendations. For this purpose, policy implications of oligopolistic trade theories which is known as strategic trade policies are also examined in the study. Balassa, B (1966), "Tariff Reductions and Trade in Manufactures", American Economic Review, 56.466-473. __ (1967), Trade Liberalization Among Industrial Countries: Objectives and Alternatives, Mc Graw Hill, New York. Entry", Canadian Journal ofEconomics, 14,371-389. __ ve Spencer(l985), "Export Subsidies and International Market Share Rivalry", Journal of International Economics, 18, 83-100. 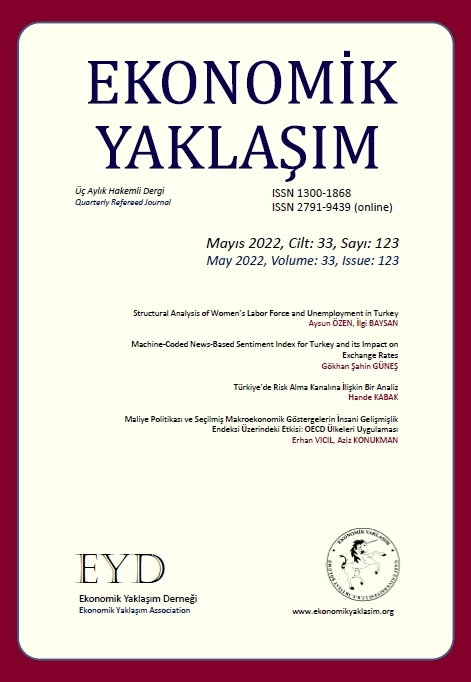 Dixit, A.K ve Grossman G.M (1986), "Targeted Export Promotion with Several Oligopolistic lndustries", Journal of International Economics, 21, 23-49. __ ve N orman, V.D (1980), Theory of International Trade, Cambridge University Press, Cambridge. Emerson, M. (1988), The Economics of 1992, Oxford University Press. Ethier, W.J. (1982), "National and International Returns to Scale in the Modern TheoÃ½Â·y of International Trade", American Economic Review, 72, 950-959. Grossman, G. M (der.) (1993) lmperfect Competition and International Trade, MIT Press, Cambridge. Grubel, H.G. (1981), International Economics, Richard D. lrwin. __ ve Lloyd, P.J. (1975), Intra-industry Trade: The Theory and Measurement of International Trade in Dijferentiated Products, New York, John Wiley. Helpman, J. (1 981), "International Trade in the Presence of Product Differentiation, Economies of Scale, Monopolistic Competition: Chamberlin-Heckscher Ohlin Approach", Journal of International Economics, II, 305-340. __ (1984)", Increasing Returns, lmperfect Markets and Trade Theory," R.W Jones ve P.B Kenen (der.) Handbook of Internationala Economics, Amsterdam, North Holland. __ (1985), "Multinational Corporations and Trade Structures," Review of Economic Studies, 52, 443-458. __ ve Krugman, P.R. (1985), Market Structure and Foreign Trade, MIT Press, Cambridge. __ (1989), Trade Policy and Market Structure, MIT Press, Cambridge. Krugman, P.R (1977), "Is Free Trade Passe", P. King, International Economy and International Economic Policy, iÃ§inde. __ (1981), "Intraindustry Specialization and Gains from Trade", Journal of Political Economy, 87, 959-973. __ (1990), Rethinking Irrternational Trade, MIT Perss, Cambridge. __ (1990a), "Industrial Organization and International Trade", Rethinking International Trade, iÃ§inde 226-268. __ (1990b), "Increasing Returns and the Theory of International Trade", Rethinking International ,iÃ§inde, 63-89. Haufbauer, C.G ve Scott, J.J. (1992), North American Free Trade, Institutions for International Economics. Lancaster, K.J. (1975), "Socially Optimal Product Differentiation", American Economic Review, 65, 567-585. __ (1979), Variety, Equity and Efficiency, Columbia University Press, New York. Pelkman, J. (1984), Market Integration in the European Community, The Hague, Boston. Richarson, J.D (1989), Empirical Estimates of Gains From Trade Liberalization under lmpeifect Competition: A Survey ,OECD Economic Studies. Vol. 12, 7-51. __ ve Baldwin, R.E. (1995), Regional Economic lntegration, BasÃ½lmamÃ½Ã¾ ÃalÃ½Ã¾ma.